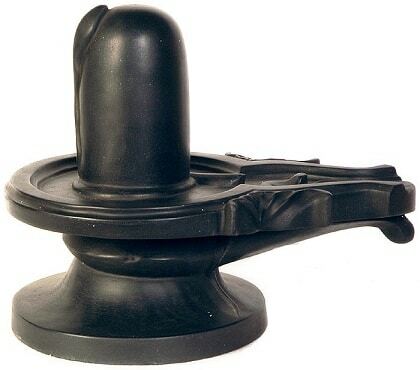 A Jyotirlinga or Jyotirling or Jyotirlingam (ज्योतिर्लिङ्ग) is a devotional object representing the god Shiva. Jyoti means ‘radiance’ and lingam the ‘mark or sign’ of Shiva, or a symbol of the pineal gland; Jyotir Lingam thus means the The Radiant sign of The Almighty. 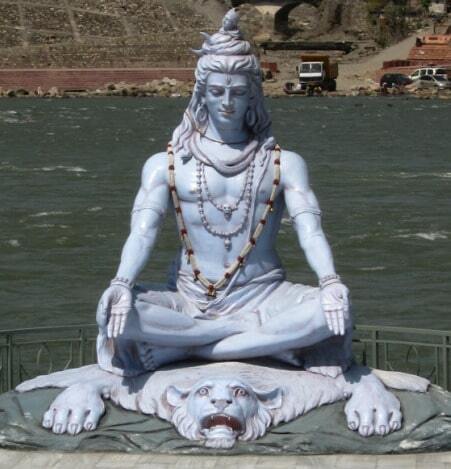 There are twelve traditional Jyotirlinga shrines in India. It is believed that Lord Shiva first manifested himself as a Jyotirlinga on the night of the Aridra Nakshatra, thus the special reverence for the Jyotirlinga. There is nothing to distinguish the appearance, but it is believed that a person can see these lingas as columns of fire piercing through the earth after he reaches a higher level of spiritual attainment. Originally there were believed to be 64 jyothirlingas while 12 of them are considered to be very auspicious and holy. Each of the twelve jyothirlinga sites take the name of the presiding deity, each considered a different manifestation of Shiva. At all these sites, the primary image is lingam representing the beginningless and endless Stambha pillar, symbolizing the infinite nature of Shiva. 1. Somanatheshwara: Somanaatheshwara in Somnath is the foremost of the twelve Jyotirlinga Shrines of Shiva, held in reverence throughout India and is rich in legend, traditions and history. It is located at Prabhas Patan in Saurashtra in Gujarat. 2. Mahakaleshwara: Ujjain – Mahakaleshwar Jyotirlinga shrine The ancient and historic city of Ujjain or Avanti in Madhya Pradesh is home to the Jyotirlinga shrine of Mahakaleshwar. 3. Omkareshwara: a.k.a Mahamalleshwara – Omkareshwar, an island in the course of the river Narmada in Madhya Pradesh is home to the Omkareshwar Jyotirlinga shrine and the Amareshwar temple. 4. Mallikarjuna: Sree Sailam – Sree Sailam near Kurnool enshrines Mallikarjuna in an ancient temple rich in architectural and sculptural wealth. Aadi Sankaracharya composed his Sivanandalahiri here. 5. Kedareshwara: Kedaareshwara of Kedarnath is the Northernmost of the Jyotirlingas. Kedarnath, nestled in the snow clad Himalayas is an ancient shrine rich in legend and tradition. It is accessible only on foot, six months in a year. 6. 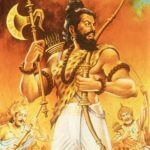 Bhimashankara: Bhimashankar – Jyotirlinga Shrine is associated with the legend of Shiva destroying the demon Tripurasura. Bhimashankar is located in the Sahyadri hills of Maharashtra, accessed from Pune. 7. Kashi Vishwanatheshwara: Kaashi Vishwanaatheshwara Varanasi – The most celebrated pilgrimage site in India The Vishwanath temple in Benares in Uttar Pradesh is the goal of the thousands of pilgrims that visit this ancient city. The Vishwanath shrine is revered as one of the 12 Jyotirlinga shrines of Shiva. 8. Triambakeshwara: Tryambakeshwar – The origin of the river Godavari is intimately linked with this Jyotirlinga shrine near Nasik in Maharashtra. 9. Vaidyanatheshwara: – Vaidyanath temple at Deogarh The ancient pilgrimage town of Deogarh in the Santal Parganas area of Bihar is revered as one of the 12 Jyotirlingas of Shiva. 10. Naganatheshwara: – Nageshwar near Dwarka in Gujarat is one of the 12 Jyotirlinga shrines of Shiva. 11. Grishneshwara: – Grishneshwar Jyotirlinga Shrine is a temple located in the vicinity of the tourist town of Ellora, which has several rock cut monuments from the 1st millennium CE. 12. 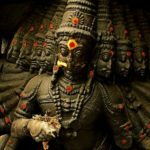 Rameshwara: – Rameswaram: This vast temple in the island of Rameswaram, in Southern Tamilnadu enshrines Ramalingeswarar, and is revered as the southernmost of the 12 Jyotirlinga shrines of India.